Daegu is the 4th largest metropolitan city in South Korea, and officially called Daegu Metropolitan City. Daegu is located in “Basin” surrounded by mountains. Palgong-san in the north, Biseul-san in the south, the foothills of Gaya-san in the west, and a row of small hills to the east. The city is not inferior to Seoul and Busan. Lots of tourist attractions must be visited here. 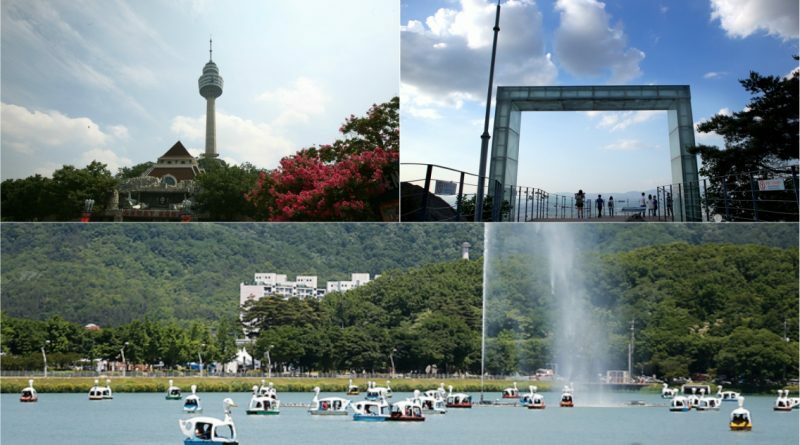 Here are 3 places to visit in Daegu city. 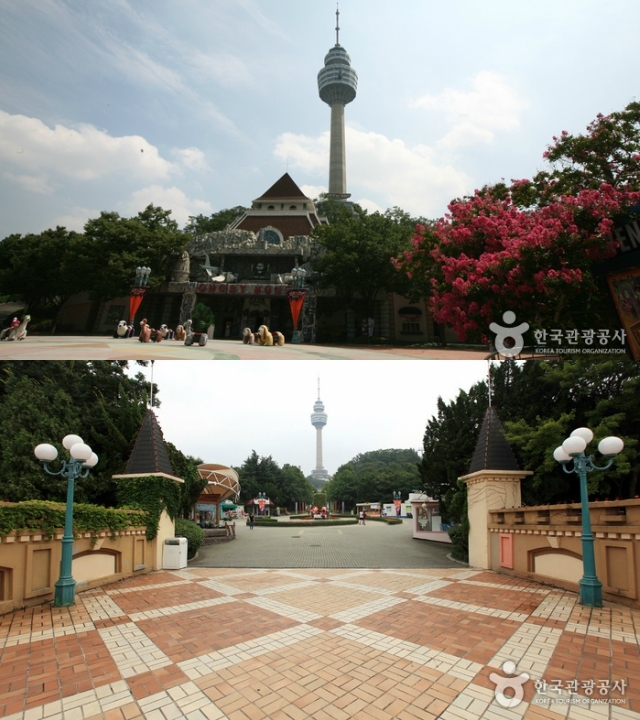 Woobang Tower Land is perfect to visit with small family, friends, and lover. Because this place, has a lot of game rides that will feel more exciting if played together. The main attraction here is climbing the camel’s back. Woobang Tower is located within a complex, and there visitors will find ice skating rides, including a sky deck with stunning views of Daegu. Observatory at Mount Apsan meruakan one of the romantic places in Daegu. 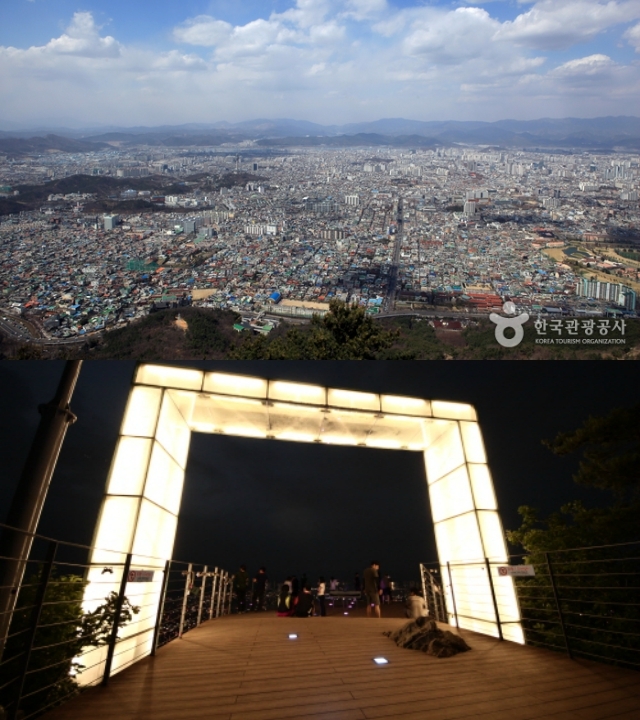 From the top of Apsan mountain, visitors can enjoy the view of Daegu at night along with loved ones. To reach Apsan mountain 660 meters above sea level, you can ride a cable car for five minutes from the foot of the mountain to the observatory. This place is also very suitable to apply for your lover, because it has a romantic atmosphere. 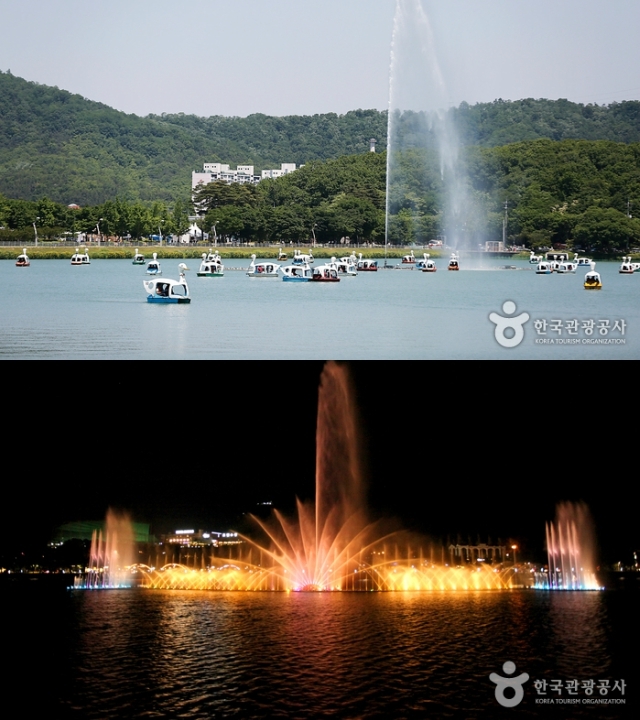 Suseong Lake is a lake where visitors can enjoy the scenery while using the existing game facilities. One such game is the duck boat. Suseong Lake is getting more and more felt during the night. Here is a street made of wood and usually filled with couples to date. In spring, the cherry blossoms will bloom beautifully plus the fountain show combined with the lases will entertain the ends in May to October.